Literally SAFE and SOFT that is the best description we can give about Toddlers MFS. 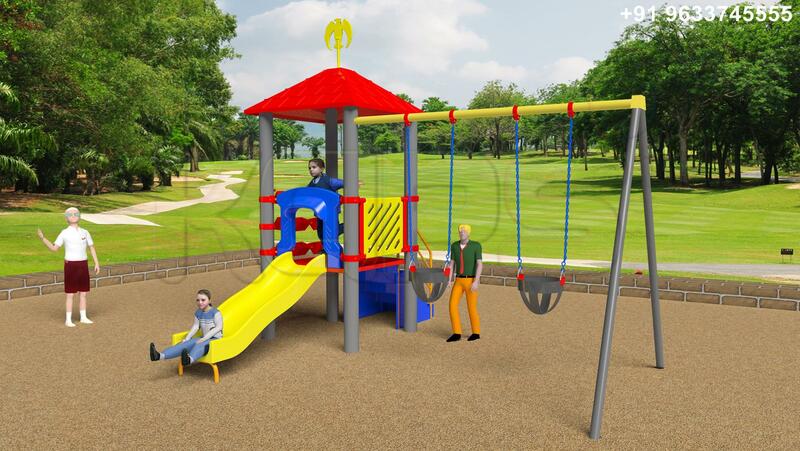 The softer slides and toddler swings are joined together, to give them the first lessons of play!! It comes in six different colour combinations, which would amaze the tiny eyes. The mini slides are designed as fall free and they promise a safe landing. Toddler swings are given covered seats in order to provide them a careful ride. The mini play area setting is made easily accessible for younger children; the fully covered hand rails and canopies make the play time trouble free. The play events include: Toddler slide variants; Wave slide, Tube slide.Toddler swing,Climbers.